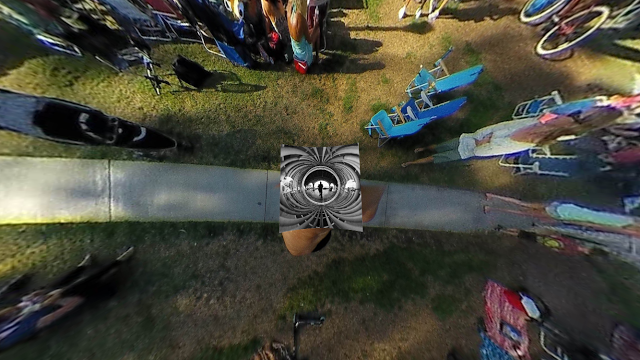 It’s easy to shrink or enlarge your logo / watermark for your 360 photo or video. Here’s how. I posted a tutorial for making a logo or watermark for 360 photos or videos here. Let’s say you want to now want to resize the logo for a particular photo, or perhaps create more sizes of your logo that you can later use. This works for logos of any shape, whether circular, square, or some other shape. The resulting logo becomes larger or smaller in proportion to how much you adjusted the height. If you decreased the height by 50%, the length and width of the logo (or its diameter for a circular logo) will each shrink by 50%. Note that a 50% reduction in height makes the logo 1/4th as large as it was before. Vice-versa if you enlarge the height. Using this technique, you can also adjust the size of the logo to cover the tripod legs (or your hand) exactly, without making it too large or too small. Thanks for giving this best quality and proven method to resize the photo.